Demons have long been fodder for blockbuster films. For these unfortunate souls, however, demonic hauntings are all too real. Here are six modern-day demonic haunting cases that will have you thinking twice before buying that new house, or bringing a new piece of furniture into your home. If you find yourself walking past 20317 Fairway Drive in Springfield, Louisiana: keep walking. Couple Jeanine and A.J. thought they found their dream home when they came across it in late 2013, but as soon as they moved in, something seemed off. The unusual activity started small, with gusts of cold air and a radio turning off by itself. Before long, though, Jeanine heard her young son talking to an imaginary friend, who was apparently threatening to hurt Jeanine. Soon, rosaries started to swing like pendulums, pictures fell from walls, plaster fell from the ceiling, and doors opened and slammed shut on their own. When the couple left a cassette recorder on, they picked up growling and a voice saying “she will die.” The last straw was when they discovered satanic symbols carved into the wood flooring under the carpet. The family called in a minister, who performed a cleansing on the house and an exorcism on Jeanine. It was successful, but the family packed up and fled the home anyway. 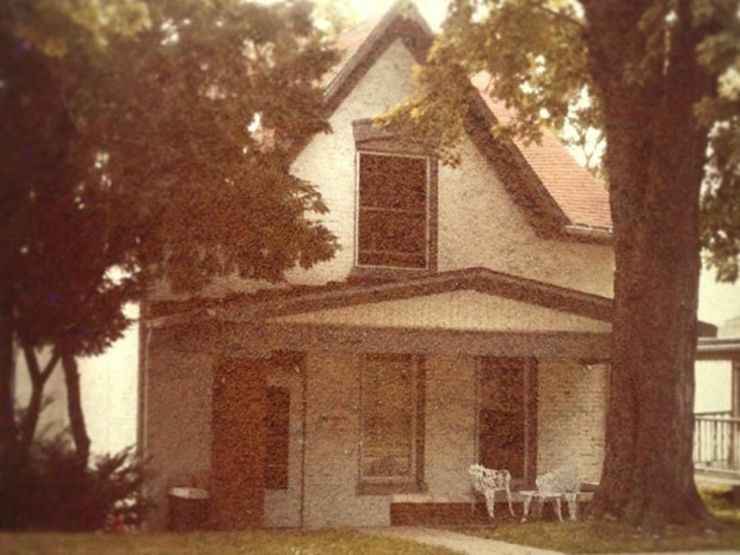 Flying objects, violent shoving and scratching, scary voices, terrifying apparitions, and a negative energy have led paranormal investigators to conclude that the home on 508 N. Second Street in Atchison, Kansas is haunted by a demonic force. A family who lived in the home in the 1990s captured some of their paranormal experiences on film for the TV show Sightings, hoping to spot the ghost of the girl who died there—allegedly a victim of a botched appendectomy in the early 1900s. It’s hard to get a good night’s sleep if you think your home is haunted by a demon. It’s even harder when that demon is prone to coming out primarily while you sleep. In 2015, a South Wales couple said a friend visiting the home accidentally summoned a phantom through an Ouija board. The family regularly wake up bruised and in pain. The couple’s children have been terrorized, with the demon telling them, “I’m going to slit your parents’ throats.” After calling in paranormal investigators to their home, they’ve gotten rid of two small demons, but one remains, terrorizing them to this day. Pat Reading was a normal wife and mother living in Litchfield, Connecticut in the 1980s when she started experiencing strange occurrences: furniture moving in her home, unexplained sounds, mysterious bruises, and violent tantrums. She wasn’t diagnosed with any form of psychosis, and she didn’t have any issues with dugs or drinking. Her local Bishop performed 16 exorcisms on her, but she never got relief, continuing to feel that she was possessed until she passed away. It’s not every day that a demon is blamed for murder. In fact, in 1981 in Brookfield, Connecticut, Arne Cheyenne Johnson was the first defendant in a court case who blamed demonic possession for a crime—the murder of his landlord. Johnson had been charged with first-degree manslaughter after killing his landlord during a dispute. According to testimony, an 11-year-old boy named David Glatzel had been possessed by a demon. 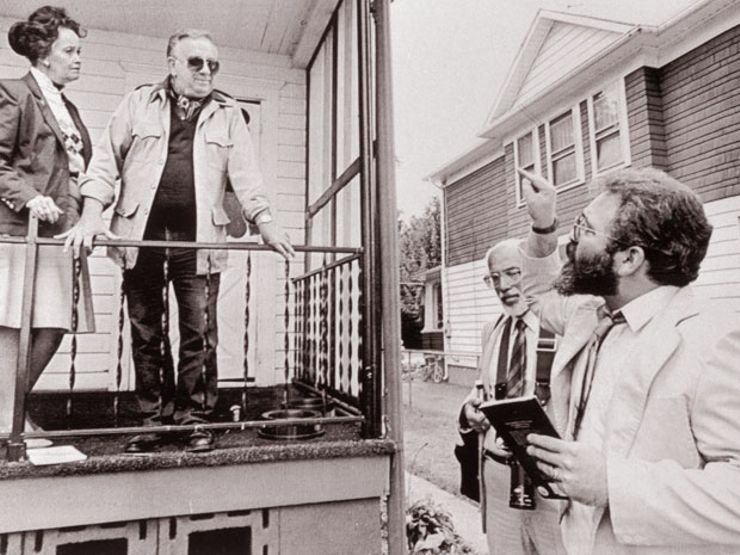 When the Glatzel’s family enlisted famed demonologists Ed and Lorraine Warren to exorcise him, the demon left his body and took up residence in Johnson, who went on to killed his landlord. 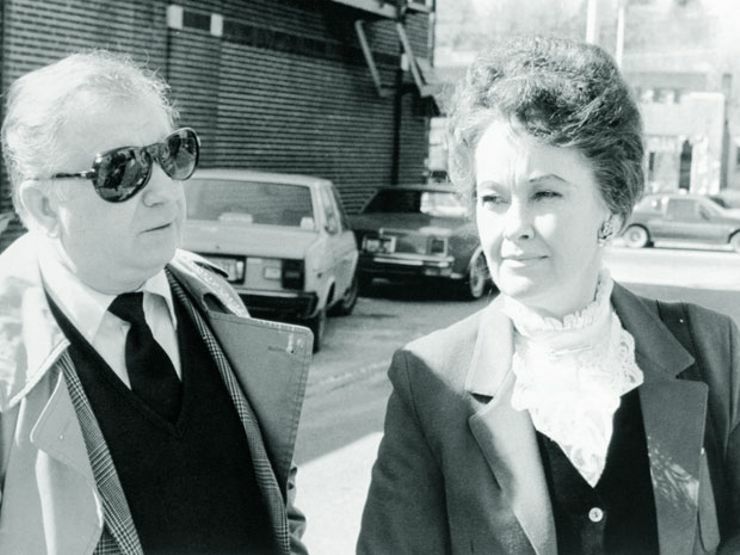 Though his now-wife testified Johnson exhibited odd behavior like growling and trance-like states, the demon defense didn’t hold up, and Johnson was convicted. When London flatmates Joseph Birch and Sotiris Charalambous scored a free antique mirror from their landlord a few years ago, they thought they got a great deal. Instead, they got a nightmare. After bringing the mirror into their home, the friends started suffering intense nightmares and simultaneous stabbing pains throughout their bodies. They’d wake up with scratch marks and objects strewn all over the floor of the apartment. Objects went missing, and the roommates felt like they were being watched. They also saw flickering shadows and glimpses of black darkness in the mirror, along with orbs of light in the room. To their credit, the pair didn’t set the mirror outside for an unsuspecting passerby to pick up—they put it on eBay, with plenty of warnings for potential buyers.